2011 has been Husky’s year. The four piece from Melbourne have taken out Triple J’s Unearthed competition and proceeded to win hearts touring sell out shows across the country, supporting the likes of Devandra Banhart, Noah and the Whale, Kimbra, Jinja Safari and Gotye. 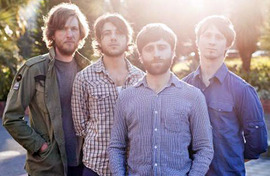 October saw the release of the much anticipated debut album “Forever So”, which was met with universal praise, rounding out a pretty prefect year for the band. On the eve of their appearance at the 2012 Laneway Festival, Caught in the Mosh got chatting with front man Husky Gawenda to find out what the future holds and talk about the journey so far. What's the latest for Husky? Did you ever imagine that 2011 would be so massive for the band? Have you got used to life on the road? Are you looking forward to a break over Christmas? Have you taken much from touring with the likes of Kimbra, Gotye, Devandra Banhart and Jinja Safari? Are you looking forward to touring with Laneway festival? Are there any bands that have caught your eye? What's the biggest tip you can pass on to any up and coming band? 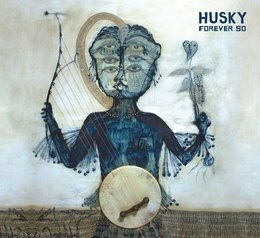 How would you describe the music of Husky? Is there a hidden meaning behind the band name? Was the recording process for your album as challenging as you thought? Would you do anything different next time? As a band what's your collective goal for 2012?